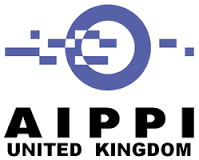 Lord Justice Floyd (Court of Appeal, England and Wales) and Richard Vary of Nokia spoke at AIPPI UK's event at Allen & Overy on FRAND issues earlier this week (26 May). Richard Vary’s presentation on injunctions for SEPs covered vast ground, moving away from a US-centric perspective and covering in detail the current state of the law in the US, Brazil, Europe, China and India. In his view, while US case-law is often portrayed as restricting injunctions for SEPs, the situation globally is far more diverse and complex. He noted that the US decisions have been made in a very specific legal framework, and the US comprises less than 5% of cellular connected devices. In a context where the majority of mobile phone users are spread around the globe, and where the majority of mobile phone manufacturers have no licence to most of the patents they use, a move must be acknowledged from a contractual approach focusing on the licensor’s behaviour to one focusing on the licensee’s willingness to enter into negotiations. Such a move can be noticed on a global scale, as illustrated by recent trends in Europe and Asia. Richard Vary also discussed the IEEE’s controversial new policy precluding an SEP holder from seeking relief until a rate has been litigated and the first level of appeal is exhausted. He also welcomed a move from litigation on a patent-by-patent basis toward a more cost-effective portfolio arbitration approach whereby decisions are taken on the overall portfolio and the validity and/or infringement of individual patents matters less. He noted, indeed, that often firms care more about the value of their overall portfolio than about any single patent that is being litigated. Yes, but is it reasonable ...? In his keenly-awaited presentation on the United States Federal Circuit FRAND decisions, Lord Justice Floyd explored the setting of reasonable royalty rates in the US courts. He drew a distinction between Microsoft v Motorola Inc. (W.D. Wash. Apr. 25, 2013), where royalty rates were discussed in the context of a breach of an obligation to make a RAND offer (ex ante standard setting), and Ericsson v D-Link (E.D. Tex. Aug. 6, 2013), and In re Innovatio IP Ventures LLC Patent Litig., (N.D. Ill. Oct. 3, 2013), where royalty rates were discussed as part of the assessment of damages (ex post standard setting). He mentioned a number of factors at play in the determination of royalty rates and noted that some of them, such as the enforceability of third party rights or the duty to negotiate pre-contractually in good faith, are jurisdiction-specific and can present interesting cross-jurisdictional challenges for courts seeking to follow one another’s approach. He also reminded his audience that the rationale behind the “smallest saleable unit” approach to the calculation of royalty rates was to avoid juries setting excessive rates by reference to the value of the overarching good instead of the SEP-covered component. The judge referred to General Tire & Rubber Co. v Firestone Tyre & Rubber Co. Ltd (House of Lords  1 W.L.R. 819) as constituting a good basis for the assessment of royalties in this context and concluded noting that, where sufficient evidence is adduced to show that royalty stacking and hold-up considerations are not relevant, there is no reason why a judge should not find these irrelevant. This piece was prepared by Elettra Bietti (Allen & Overy). Thanks, Elettra! As very few patent cases are heard in Luxembourg, it has no current plans to host a Local Division of the UPC. Cases which could otherwise have been filed in that Local Division, will be heard by the Central Division instead. The UPC Agreement must now be ratified by a further six countries (including the UK and Germany) before the EU can introduce the new unitary patent right and Unified Patent Court. The Netherlands is taking steps towards ratification; it launched a public consultation on ratification of the UPC at the beginning of May 2015. On 13 May 2015, the Italian Ministry of Economic Development issued a press release saying that it is a priority for Italy to join the Unitary Patent. Italy had previously said that it would join the Unified Patent Court but not the Unitary Patent. This change of position comes within weeks of the decision of the Court of Justice of the European Union to reject Spain's second challenge to the legality of the Unitary Patent system. 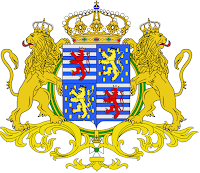 PatLit is not surprised to learn that Luxembourg has no grand plans for a Local Division, though quite a few patent-related matters of legal principle will be litigated there anyway in the Court of Justice of the European Union. Stretchline Intellectual Properties Ltd v H&M Hennes & Mauritz UK Ltd  EWCA Civ 516 is a 22 May 2015 ruling of the Court of Appeal, England and Wales (Lords Justices Aikens, Kitchin and Briggs). In short, Stretchline had a patent for a fusible woven barrier in a tubular fabric which prevented the ends of underwires used in brassieres and swimming costumes from penetrating the fabric. After making some test purchases in H&M's stores, Stretchline sued H&M for patent infringement. H&M's defence was that the patent was invalid, so a counterclaim for revocation was launched. The proceedings were settled after mediation by an agreement which was said to be a full and final settlement of the dispute on a worldwide basis. This was not however the end of the story, since Stretchline later found that H&M had started selling infringing products again. Stretchline brought further proceedings, alleging both breach of the settlement agreement and infringement. H&M issued a defence and counterclaim that it had not acted in breach of the agreement because its brassieres did not fall within the scope of the patent, and further alleging that the patent was invalid. Stretchline applied successfully to strike out the defence and counterclaim as being precluded by the earlier agreement. On appeal, H&M submitted that the trial judge -- Mr Justice Sales at  EWHC 3605 (Ch) -- had been wrong to conclude that the settlement agreement prevented it from raising the issue of validity by counterclaim or defence, and that Stretchline had materially altered its position by interpreting the scope of its patent more broadly after the date of the settlement agreement and by using a different test (the 'pin penetration' test) to measure penetration than that mentioned in the patent. The Court of Appeal, in a judgment delivered for the court by patent specialist Kitchin LJ, dismissed H&M's appeal. * Looking first at the mediated settlement, its recitals and substantive obligations had been broadly drawn so that any reasonable person would have understood that the parties intended to compromise all the issues in dispute including the validity of the patent. By the same logic, Stretchline was prevented from pursuing an infringement claim in addition to that for breach of contract. * The patent and the original proceedings had been founded upon the use of "the L+M sewability tester", whereas the new proceedings were based on a pin penetration test, the results of which were not readily comparable. However, there was nothing in the body of the patent to say the sewability test had to be used. The patent's claims were cast in general language and there were powerful grounds for saying that the skilled person would consider that the resistance of the tube could be measured using any conventional test. This decision underlines the principle that, once something appearing to be a final and global settlement of a patent infringement claim is entered into, the courts are most reluctant to depart from the proposition that it is indeed the last word on the subject. US patent litigation down for 2014 -- but what does this mean?
" ... a new study shows that the pace of litigation has actually slipped — for the first time in five years. This is a big deal for a whole range of industries, not just the tech sector. It's happening at a time when the spotlight on frivolous patent lawsuits has never been brighter. And that makes it a surprising find. [According to] PricewaterhouseCoopers' latest report on patent litigation ... in 2014, there was a sharp drop in the number of new patent cases. There were about 5,700 filed last year, according to PwC. That might sound like a lot, but it's actually a 13 percent drop from the year before. We haven't seen anything like this since 2009 — which is about when many companies started getting hit with their first demand letters [from patent trolls]. The letters are often vague about which patents have allegedly been infringed, leading to confusion and fear among the victims about what they may have done wrong. They can fight the suit and go to court, but defending a case is costly and unaffordable for many companies. The congressional legislation being debated would try to address some of these issues. But here's what else could wind up curtailing patent litigation: The Supreme Court. According to PwC, the sharp decline in new patent lawsuits can be traced almost directly to the outcome of a major case last year known as Alice Corp. v CLS Bank. Most analysts at the time said that Alice didn't matter much. The Court ruled that the software patent Alice Corp. used to sue CLS didn't pass the smell test. That much was obvious to many people watching the case; what they really wanted from the Court decision was a more concrete outline as to what kinds of software patent were patentable. 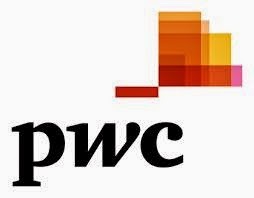 But the fact that Alice put some limits on software patents at all appears to have put major pressure on those who are considering bringing a patent lawsuit, said PwC. Alice effectively "raised the bar for patentability and enforcement of software patents," PwC's report reads. This doesn't make the issue of abusive patent litigation go away. Previously, PwC found that patent trolls accounted for 67 percent of all new patent lawsuits. But this year's findings suggest that the increase in patent trolling is not inevitable. This blogger is not particularly surprised about the outcome of the survey and he doesn't think it is of significance at all. For one thing, he feels that the high rate of patent litigation in the US may itself be based on the me-too principle: after a couple of speculative patent actions against moneyed defendants secure large damages awards and this is publicised, suing for patent infringement becomes a form of learned profitable behaviour among others, who may persist in pursuing it for a while but will stop when it becomes unprofitable. The analogy is with feeding pigeons in the park: at first, I have plenty of bread and there are only a few pigeons to feed. When I've been throwing crumbs to them for a while, many other pigeons learn to approach me for more crumbs. Once I have finished dispensing crumbs, the pigeons will still hang around for a short while but will move on once they learn that there is no further pay-out. The effect of the Alice ruling is also open to further investigation. For one thing, Alice only relates to one form of patentable subject-matter, while those who abuse (and/or allegedly abuse) hold patents in other fields of technical application too. For another thing, there is some suggestion -- and this can be quantified and may be confirmed -- that there has been a decline in patent infringement litigation in many jurisdictions outside the United States too, something that would be hard to attribute to the Alice effect. A further point, on which some kindly statistician might care to comment, is that a 13% drop in a year might be an accurate description of filings in that year but need not represent any sort of trend and could be attributable to factors quite outside the patent system such as the weather, the cost of credit, the availability of other ways of monetising assets other than by suing for patent infringement -- or even the willingness of more potential defendants to accept licences. 2015 Patent Litigation Study: A change in patentee fortunes is available here. Thanks go to Chris Torrero for providing the link. AstraZeneca AB & Anither v KRKA dd Novo Mesto & Another  EWCA Civ 484 is a major ruling delivered yesterday on the calculation of damages from the Court of Appeal, England and Wales (Lords Justices Longmore, Kitchin and Floyd). This is an unusual instance of two specialist patent judges sitting together in the three-judge panel: one is usually enough. In the event Kitchin LJ delivered a unanimous judgment, so we weren't treated to display of duelling between the two virtuoso patent judges. The question before the Court of Appeal was whether, in awarding damages of over £27 million to pharmaceutical companies for their losses resulting from an interim injunction restraining the launch of a non-infringing generic version of esomeprazole for a year, the trial judge -- Mr Justice Sales (not a specialist patent judge), was in error. Sales J's decision is noted on PatLit here. The point of the matter was that, but for the injunction, those companies would have entered the market for esomeprazole with full force and effect, and the sum awarded took account of the success they would have achieved and the profits they would have made, subject to an appropriate 20 per cent discount to reflect the various uncertainties inherent in that assessment. The award of £27 million was the largest ever made by the Patents Court on an enquiry of damages of this kind. Essentially, said the Court of Appeal, Sales J had got it right and had was entitled to reach the conclusion which he had done, on the basis of the evidence before him. The assessment of damages was compensatory, not punitive, and while some of the reasoning was "concise" it was not (as counsel for the appellants had suggested) "wholly inadequate". This blogger welcomes more concise reasoning in the decisions of trial judges. They are easier to follow and, in his opinion, less likely to result in an appeal since there's not so much rope with which trial judges can hang themselves. "We would like to get as wide a response as possible, so I was hoping that you might be able to mention it in a posting". PatLit is always pleased to oblige. 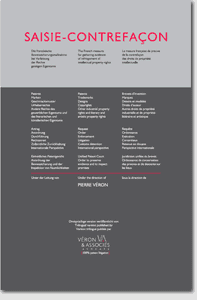 Wragge Lawrence Graham & Co's Survey on the Unitary Patent and Unified Patent Court can be accessed at https://www.surveymonkey.com/s/unitarypatentsurvey and it should not take more than 10 minutes of your time. The questions are designed to be answered by respondents from outside as well as inside the UK and, while the organisers expect to be closing the survey in mid-June, there is no formal closing date. 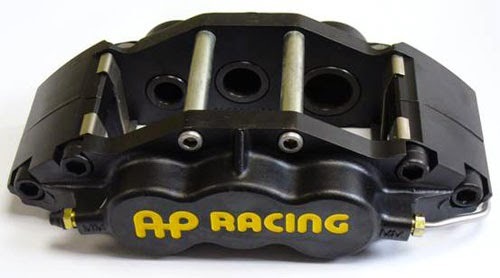 On May 13, 2015, the U.S. Court of Appeals for the Federal Circuit again considered the circumstances in which a defendant may be liable for direct infringement under 35 U.S.C. § 271(a) when multiple actors carry out the required steps of a patented process. In a sharply divided panel decision, the court ruled that while principles of vicarious liability apply to direct infringement, liability is not available under joint tort concepts, such as “concert in action.” Akamai Technologies Inc. v. Limelight Networks, Inc., Case No. 2009-1372 (Fed. Cir. May 13, 2015). As a result, a defendant may be liable for direct infringement of a method claim only if: (a) the defendant performed every step of the patented method, or (b) if the defendant did not perform every step, the defendant was a “mastermind” that orchestrated the infringement and thus was responsible for the steps performed by others. In order to be a mastermind, a defendant must go beyond merely instructing or encouraging another actor to perform the steps that it did not perform -- a defendant is liable only if it is legally responsible for the missing steps due to a principal-agent relationship, a contractual arrangement, or a joint enterprise. The latest Akamai decision essentially reaffirms the court’s earlier ruling in Muniauction, Inc. v. Thomson Corp., 532 F.3d 1318 (2008) that direct infringement liability requires a single entity to perform all the steps of a patented method. This interpretation could have far-reaching implications for patent claim drafting and infringement litigation. [D]irect infringement liability of a method claim under 35 U.S.C. § 271(a) exists when all of the steps of the claim are performed by or attributed to a single entity—as would be the case, for example, in a principal-agent relationship, in a contractual arrangement, or in a joint enterprise. Because this case involves neither agency nor contract nor joint enterprise, we find that Limelight is not liable for direct infringement. Slip op. at 6-7. The court ruled that while § 271(a) covers situations in which a defendant is legally responsible for the acts of closely-related third parties (i.e., vicarious liability), direct infringement does not extend to common law tort theories in which multiple persons acting together are jointly liable. In a vigorous dissent, Circuit Judge Kimberly A. Moore argued that the single entity rule has no basis in the statute or case law, and that limiting the scope of § 271(a) to vicarious liability situations creates a “gaping hole” in liability under the Patent Act, effectively rendering thousands of process claims uninfringeable. She argued that liability under § 271(a) also applies in cases where defendants would be considered jointly liable under some common law tort principles. Due to the pointed dissent, however, it is likely that the Federal Circuit will again review the issue en banc. The Akamai decision underscores the need for patent applicants to claim their process inventions in a way that can be infringed by a single actor, either through actions by a single competitor or actions attributable to it through contractual relationship or agency principles. This is especially important because liability for active inducement or contributory infringement will not be available in many cases due to the high intent standard required in § 271(b) and (c). See Global-Tech Appliances, Inc. v. SEB S.A., 131 S. Ct. 2060 (2011) (active inducement requires actual intent to cause infringement or willful blindness). Adding more infringing products at the stage of assessing financial compensation: can it be done? 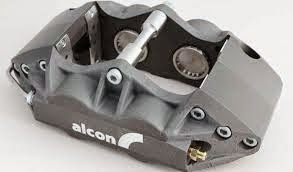 AP Racing Ltd v Alcon Components Ltd  EWHC 1371 (IPEC) is a decision of Judge Hacon, sitting in the Intellectual Property Enterprise Court (IPEC), England and Wales, on 15 May, relating to infringement of a patent for calipers. This decision established something that, in theory, we may well have assumed anyway -- but it's good to spell it out to patent litigants. The message? That, as a general rule, in cheap-and-cheerful IPEC proceedings a patentee whose patent has been shown at trial to be infringed will not be entitled to litigate a broader range of infringements in an account of profits, or in an inquiry as to damages, than those included in his original infringement claim. However, as an exception to that general rule, where a patentee has no reason to know of those other infringements until after the case management conference, the most expeditious way forward is for the court to consider further allegations in the inquiry or account -- if this can be done without having to deal with additional evidence. In making this statement of general principle, Judge Hacon stated that the patentee is under no general duty to exercise reasonable diligence to ascertain whether he has a potential further cause of action against the defendant. However, he added, a lack of diligence where the further claim would have been apparent to a reasonable claimant early in the proceedings, if he had only exercised reasonable diligence, could tip a claimant's attempt to deal with further infringements at the remedy stage into the category of abuse of process -- though it wasn't an abuse of process in this instance. CIPA’s annual Congress has been a recurring theme during the recent ‘meet-the-members’ tour. It is clear that you value CIPA staging Congress each year as it acts as a showcase for the UK profession and helps your Institute to influence policy formers on your behalf. Many of you have, however, said that you would be more likely to attend if it were not so expensive. I am going to put that to the test. I have encouraged the Congress Steering Committee to reduce the cost of Congress by up to twenty-five percent for 2015 as an experiment [Bravo! Can this be the beginning of a new trend?]. This is a challenge for us in that we always aim for Congress to achieve a break-even budget and to do so we need more of you to attend, but you have told me that cost is the deciding factor and I hope that at £775 (+VAT) for a two day conference (£685 +VAT if you book early) you will see this to be real value for money. Harmonisation: holy grail or poisoned chalice? IP crime: a crime without victims? At last, a unified patent system for Europe, but what does this mean for business strategy? Disruptive technologies: the end of IP as we know it or a new beginning? How can business and industry make the best use of the global IP system? The venue is still the Lancaster London Hotel, and the dates are Thursday 1 and Friday 2 October 2015. This blogger ventures to suggest that the new registration fee arrangements will have an impact, particularly on corporate patent departments, and he expects that the event will be all the better for them [ie the fee reduction should be fit for purpose ...]. This year's CIPA Congress has its own website here, from which all relevant details can be accessed. Unwired Planet International Ltd v Huawei Technologies Co Ltd & Others  EWHC 1198 (Pat) is a Patents Court, England and Wales, decision of Mr Justice Birss, delivered on 12 May. This ruling gives some useful guidance on applications for strike-out and summary judgment -- and on when not to bother making them. 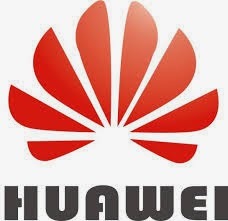 Irish company Unwired, which held a portfolio of telecommunications patents, many of them declared to be essential to various telecommunications standards, sued Huawei and some other fairly serious telecommunications equipment businesses, alleging patent infringement in respect of the sale of standard-compliant products. In total, the action involved five standard-essential patents (SEPs) and one non-essential patent. Unwired sought injunctive remedies, except to the extent that the various defendants were required and entitled to take licences to the SEPs on FRAND terms. Unwired made two open licensing proposals to the defendants; (i) in April 2014 it proposed a worldwide licence of all its patents, and (ii) in July 2014 it proposed a worldwide licence of its SEPs only. The defendants said that none of the patents was essential, valid or infringed, but they said they'd be willing to take licences under any patents found to be valid and infringed. Their defence also alleged that, in seeking an injunction, Unwired was in breach of Article 102 of the Treaty on the Functioning of the European Union (TFEU) by committing an abuse of its dominant market position. Once the Article 102 issue was raised, further interested parties were joined to the proceedings. Unwired then applied to add to its claim a declaration that its offers of licence were FRANDly; the company also sought a declaration as to the terms or range of terms that would be FRAND for a licence to use the claimant's portfolio of SEPs and/or its portfolio of patents. Huawei and the other defendants contended that the FRAND obligation points were capable of being dealt with summarily and that they should be: Unwired's proposals couldn't be FRANDly because Unwired failed to offer (i) single patent licences if requested; (ii) a licence under all SEPs essential to a particular standard; (iii) a licence under SEPs relating to a particular territory. * It was at least arguable that a key part of the factual matrix against which the offer of FRAND terms had to be construed was competition law and policy. This being so, no matter how clear the meaning of the words themselves might seem, a final decision about their meaning and scope could not be made without putting them into their proper factual and competition law context. * It could well be that competition law considerations and the wider context actually worked in the defendants' favour -- but that should be decided at trial. It would not be sensible to try and decide issues of the construction of the claimant's proposals summarily, since they were too closely connected with underlying facts which were themselves in dispute. Since Unwired had a real prospect of defending all the points arising on the summary judgment application, it must be refused. * Unwired's assertion that its proposals were FRANDly had a real prospect of success, so its application to amend its claim by adding a declaration to that effect would be allowed on terms stipulated by the court. Of all the areas of intellectual property litigation, patent law is probably that in which applications for summary judgment and/or strike-out of claims have the least chance of success since not only are the facts often complex and in dispute but the ease with which competition law issues under the TFEU can be raised will tend towards the conclusion that there is a need for a full trial. In contrast, applications for speedy trials may be a bit more promising for patents than for other IP rights, given the relatively short life of a patent and the fact that a swift decision on the issue of validity in the light of allegedly killer prior art may avoid the need for a full-blooded court battle on issues of infringement. PatLit has learned from its friend Pierre Véron that the award for best French thesis on patent litigation, Prix de thèse Véron & Associés, Contentieux des brevets d’invention, 3rd edition, was presented last month in Paris. A very distinguished jury, composed of Professors Jacques Azéma, Christian Le Stanc, Jérôme Passa, Frédéric Pollaud-Dulian, and Jacques Raynard, conferred the award upon Mr Dominique Perdreau for his thesis "Le contentieux des brevets d’invention" ("Patent litigation"), under the direction of Professor Jean-Pierre Clavier (Nantes). Ms Linda Boudour received a special mention for her thesis "La saisie-contrefaçon à l'aune des droits fondamentaux" ("The saisie-contrefaçon with respect to fundamental rights") under the direction of Professor Michel Vivant (Montpellier). During the ceremony, Véron & Associés announced the imminent publication of the trilingual version (German, English, French) of the firm's book Saisie-contrefaçon, published in French by Éditions Dalloz, collection Référence (3rd edition, 2013). The new edition is due out this June: you can get all the details from the book's web page here. ViiV Healthcare UK Ltd v Teva UK Ltd  EWHC 1074 (Ch), a Patents Court, England and Wales, decision of John Baldwin QC, sitting as a Deputy Judge of the High Court, is a bit of a curiosity -- a case on supplmentary protection certificates (SPCs) for pharmaceutical patents that did not result in a reference to the Court of Justice of the European Union for a preliminary ruling (it seems quite ironical that it's SPC cases that get referred to the CJEU so often when the mere fact of a reference can add a couple of years to the length of a trial while the SPC itself is for such a short period of time). In short, Viiv had an SPC on the basis of its UK patent for a medicinal product containing abacavir and lamivudine for the treatment of HIV. Viiv issued proceedings for a declaration as to the proper interpretation of Article 3 of Regulation 469/2009 (the SPC Regulation) in the context of its 2009 SPC for "a combination comprising abacavir, optionally in the form of a physiologically functional derivative and lamivudine, optionally in the form of a physiologically functional derivative". In response, Teva applied to revoke the patent and the SPC. Both parties agreed that the patent revocation proceedings should progress to trial regardless of whether a reference was made, and the trial was expected to take place in March 2016, with a Court of Appeal judgment following about a year later. The parties had cooperated in producing drafts of an agreed statement which set out their factual contentions. In these proceedings Teva argued that there was no need to make a reference to the CJEU until essential facts had been found. No, said Viiv: the question of whether to make a reference was essentially one of case management, and the overriding objective of the Civil Procedure Rules was best served by making a reference now so that it would be better placed to decide whether to make any application to amend the patent. "A national court or tribunal may submit a request for a preliminary ruling to the Court as soon as it finds that a ruling on the interpretation or validity of European Union law is necessary to enable it to give judgment." * On references to the CJEU, it was not unusual to include facts in "Agreed Statements of Facts" which were not actually facts but which were parties' factual contentions. There might be circumstances where that was appropriate -- but that should not be the norm as it was contrary to the concept that references were only made when a decision on the question was necessary to enable the court to give judgment. The issue was not desirability from the parties' perspective but necessity from the court's perspective. * It was wrong for the court to make a reference to the CJEU merely to enable a party to be better informed as to whether to go forward with an application to amend its patent. * In this particular case it was far too early to make a reference. The proposed statement of facts was not sufficiently precise to give the CJEU a firm basis on which to make a decision and there were too many contingencies. In any event, if the patent was revoked at the validity trial, all questions relating to the SPC would become irrelevant. This blogger thinks that the Deputy Judge got it right, even if this ruling does rather spoil the fun for those of us who enjoy watching the continuing evolution of CJEU jurisprudence and measuring it up against the twin criteria of commercial necessity and common sense. Did any of our esteemed readers ever remark the word "may" in Art. 138 EPC? It is the basis on a BGH decision "Wundbehandlungsvorrichtung" resolving a controversy on the so-called "inescapable trap" between Art. 123(2) and 123(3) EPC within the Bundespatentgericht. While the BGH had ruled for purely national German patents that non-disclosed features may be left in a granted claim under certain circumstances (feature is purely limiting, no "Aliud" - i.e. the amendment relates to a non-disclosed technical aspect), the 4th senate of the Bundespatentgericht had found that this cannot apply for the German parts of European Patents where the inescapable trap according to G1/93 should fall shut. The BGH did not agree and argued that the basis of the decision in the German courts is not Art. 123 EPC but the national implementation of Art. 138 EPC, which is known as Art. II § 6 IntPatÜG. It then argues that Art. 138 EPC sets necessary but not sufficient conditions for revoking a patent and that it opens the possibility for the national court to abstain from revoking the patent although a ground according to Art. 138 exists without conflicting with Art. 123 EPC as the latter is understood by the Enlarged Board of Appeal (cf. point 49 of the reasons, rough translation by the author). This result is even more fascinating as the word "may" (kann) is missing in Art. II § 6 IntPatÜG, which stipulates that the patent is revoked mandatorily if the subject-matter of the European patent extends beyond the content of the application as filed. According to the BGH, the German approach strikes the right balance between the fundamental right to protection of (intellectual) property and the aim to avoid adverse effects for third parties. The current European patent protection system is governed by the European Patent Convention (EPC), an international agreement which is not subject to EU law. That convention provides that, in each of the Contracting States for which it is granted, the European patent is to have the effect of and be subject to the same conditions as a national patent granted by that State. Through the ‘unitary patent package’ [Regulation 1257/2012 implementing enhanced cooperation in the area of the creation of unitary patent protection, Council Regulation 1260/2012 implementing enhanced cooperation in the area of the creation of unitary patent protection with regard to the applicable translation arrangements and the Agreement on a Unified Patent Court], the EU legislature sought to confer unitary protection on the European patent and establish a unified court in this area. Under the EPC system, European patents provide, in each of the States which are party to that convention, protection the extent of which is defined by the national law of each State. By contrast, under the European patent with unitary effect (EPUE) system, the national law designated on the basis of Regulation No 1257/2012 will be applied in the territory of all the participating Member States in which that patent has unitary effect, which will guarantee the uniformity of the protection conferred by the patent. The translation arrangements for the EPUE, which are based on the current procedure in the European Patent Office, are designed to achieve the necessary balance between the interests of economic operators and the public interest in terms of the cost of proceedings and the availability of technical information. The official languages of the Office are English, French and German. The EU legislature also considered that it was essential to establish a court having jurisdiction to hear cases concerning the EPUE in order to ensure the proper functioning of that patent, consistency of case-law and hence legal certainty, and cost-effectiveness for patent proprietors. Spain seeks the annulment of the two regulations forming part of that package, namely the regulation on the creation of unitary patent protection (Case C-146/13) and the regulation governing the applicable translation arrangements (Case C-147/13). ... [T]he Court of Justice dismisses both of Spain’s actions. Spain contests (inter alia) the legality, in the light of EU law, of the administrative procedure preceding the grant of a European patent. It argues that that procedure is not subject to judicial review to ensure the correct and uniform application of EU law and the protection of fundamental rights, which undermines the principle of effective judicial protection. The Court rejects Spain’s argument by pointing out that the regulation is in no way intended to delimit, even partially, the conditions for granting European patents – which are exclusively governed by the EPC – and that it does not incorporate the procedure for granting European patents laid down by the EPC into EU law. Instead, that regulation merely (i) establishes the conditions under which a European patent previously granted by the European Patent Office pursuant to the provisions of the EPC may, at the request of the patent proprietor, benefit from unitary effect and (ii) provides a definition of that unitary effect. 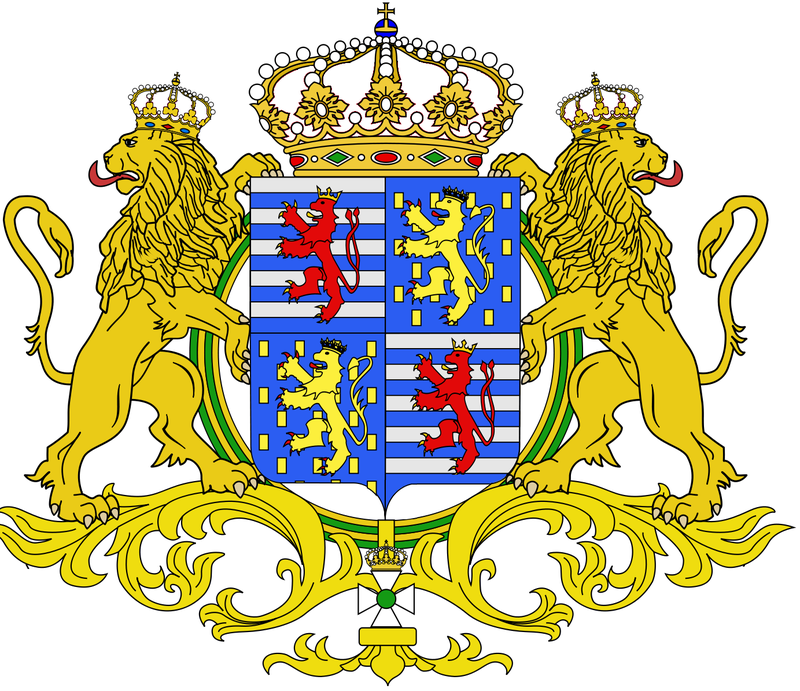 Spain also submits that the first paragraph of Article 118 TFEU (Treaty on the Functioning of the European Union) concerning the uniform protection of intellectual property rights throughout the European Union is not an adequate legal basis for the regulation. In that regard, the Court points out that unitary patent protection is apt to prevent divergences in terms of patent protection in the participating Member States and, accordingly, provides uniform protection of intellectual property rights in the territory of those States. Spain also contests the assignment to the participating Member States acting in a select committee of the Administrative Council of the European Patent Organisation of the power to set the level of renewal fees and to determine the share of distribution of those fees. The Court observes in that regard that, according to the TFEU, it is for the Member States to adopt all measures of national law necessary to implement legally binding Union acts. Moreover, it inevitably falls to the participating Member States, and not to the Commission or the Council, to adopt all the measures necessary for the purposes of carrying out those tasks, given that the EU – unlike its Member States – is not a party to the EPC. The Court adds that the EU legislature did not delegate any implementing powers which are exclusively its own under EU law to the participating Member States or the European Patent Office. Concerning the applicable translation arrangements, Spain alleges (inter alia) infringement of the principle of non-discrimination on the ground of language since – in its opinion – the regulation establishes, with respect to the EPUE, a language arrangement which is prejudicial to individuals whose language is not one of the official languages of the European Patent Office. Spain submits that any exception to the principle that the official languages of the European Union have equal status ought to be justified by criteria which are other than purely economic. The Court acknowledges that the regulation differentiates between the official languages of the EU. However, it emphasises that the regulation has a legitimate objective, namely the creation of a uniform and simple translation regime for the EPUE so as to facilitate access to patent protection, particularly for small and medium-sized enterprises. The complexity and particularly high costs of the current European patent protection system constitute an obstacle to patent protection within the EU and affect adversely the capacity to innovate and compete of European businesses, particularly small and medium-sized enterprises. The Court emphasises that the language arrangements established by the regulation make access to the EPUE and the patent system as a whole easier, less costly and legally more secure. The regulation is also proportionate, as it maintains the necessary balance between the interests of applicants for EPUEs and the interests of other economic operators in regard to access to translations of texts which confer rights, or proceedings involving more than one economic operator, by introducing a number of mechanisms (including a compensation scheme for the reimbursement of translation costs, a transitional period until a high quality machine translation system is available for all the official languages of the EU, and a full translation of the EPUE for operators suspected of infringement in the event of a dispute). The Court also holds that the second paragraph of Article 118 TFEU constitutes the correct legal basis for the regulation, as that regulation establishes the language arrangements for a European intellectual property right (namely, the EPUE), defined by reference to the EPC. Further reading on this topic can be found in places. There are three IPKat posts, with accompanying discussion, here, here and here. Steve Peers' EUI Law Analysis blog offers an excellent piece entitled "Cheerleading or judging? The CJEU upholds the EU's unitary patent package", here, And don't miss Wouter Pors' post on the EPLAW Patent Blog here. or Miguel Montana's post on the Kluwer Patent Blog, here.